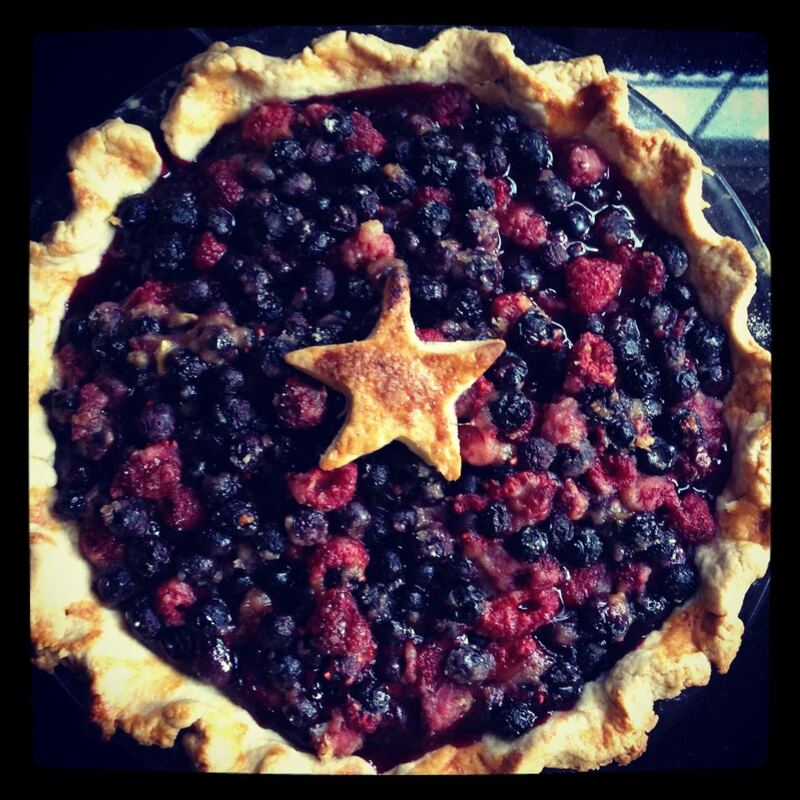 Red, white & blue berry pie. When you’re ready, roll the dough onto a floured surface. Make a 14 inch circle and then roll the dough around your rolling pin. Then transfer the dough to your pie pan and roll it over top. Push it down in the corners and cut off the excess around the edges. Gently mix all of the ingredients in a bowl together. Avoid breaking the berries as best as you can. Fill your pie crust. Brush on milk around the pie crust edges. Sprinkle with sugar. Preheat your oven to 425 and bake the pie for 20 minutes. Then turn the oven temperature down to 350 degrees and bake for 40 additional minutes. Remove and let cool. Then cut and serve.